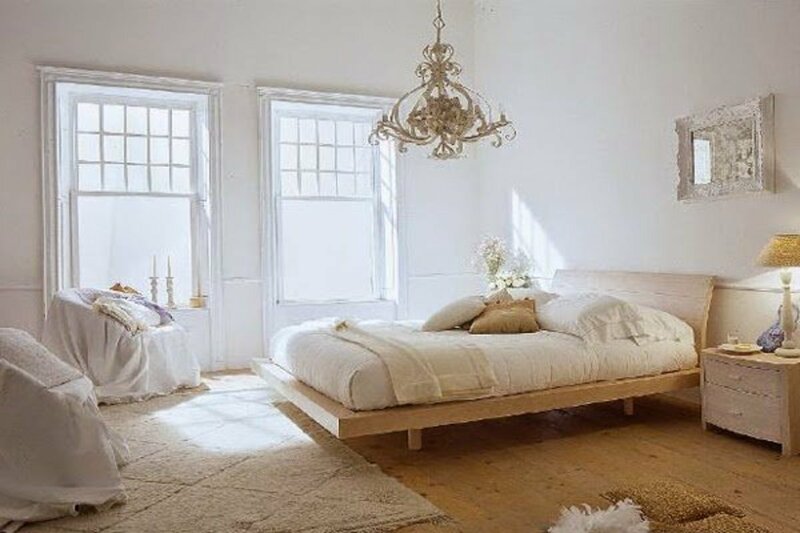 It's relatively simple to transform your ordinary bedroom into a beautiful and tranquil space--a sanctuary to ease the stresses of the day and conjure up a night of sweet dreams. Creating a little retreat from the outside world doesn’t require a great deal of time or money. In fact, here are 10 easy ideas to give your bedroom a mini makeover in as little as a few hours! This idea will cost you nothing – except a little time and effort. 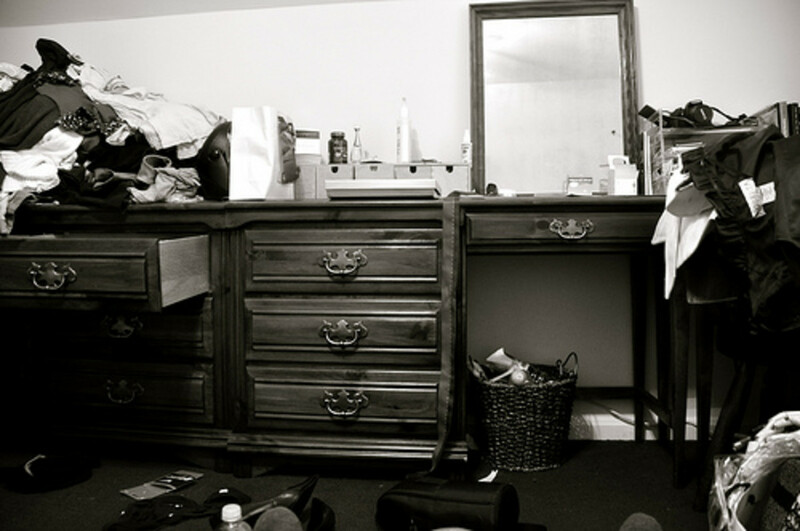 Clear out all the unnecessary stuff that has no business being in your inner sanctum. That means the kids’ toys, computer work station, piles of laundry, household paperwork and the like. If you are short on storage space, simply hide distracting clutter away in plastic bins and shove them under the bed or in the closet. Separate work/sleep space by concealing your desk with a stylish room divider or put it behind the scenes in a computer armoire. Remember the old adage: "Out of sight, out of mind." A new duvet cover and shams will do wonders for an outdated bedroom design. Use trendy bed linens as a jumping off point to revitalize your bedroom. Options range from romantic to dramatic, traditional to modern or bright to subdued. Pick the style that best suits your personality. Do online research to find the best prices on quality bedding. Consider bedding lines that allow you to create a coordinated, 'mix and match' look versus purchasing a bed-in-a-bag. Your bed linens should coordinate without being too matchy-matchy. 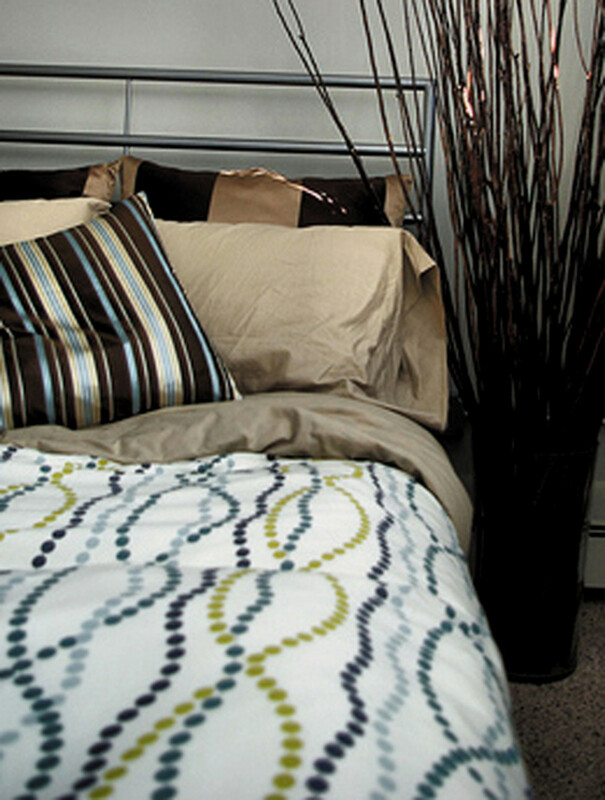 Breathe new life into your bedroom by rearranging the furniture. While you may think you have the optimum furniture arrangement, shifting even a few pieces around can completely open up a confined space. 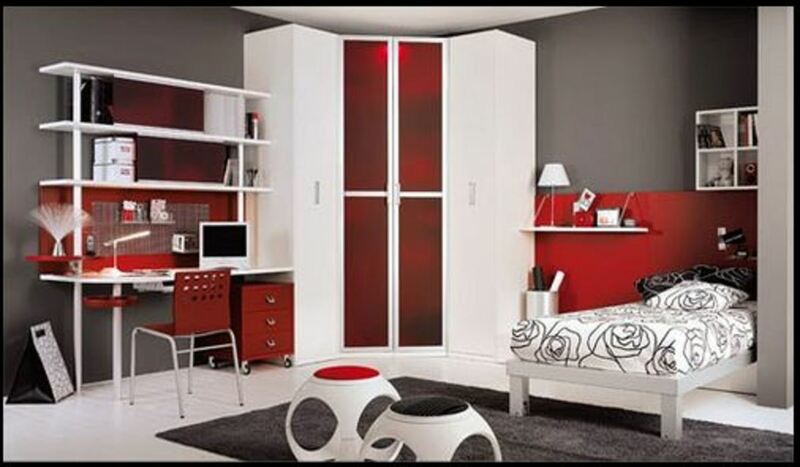 This costs nothing and gives your bedroom an entirely fresh look. Also take this opportunity to vacuum, flip and rotate your mattress – you’ll extend its life and prevent premature wear. 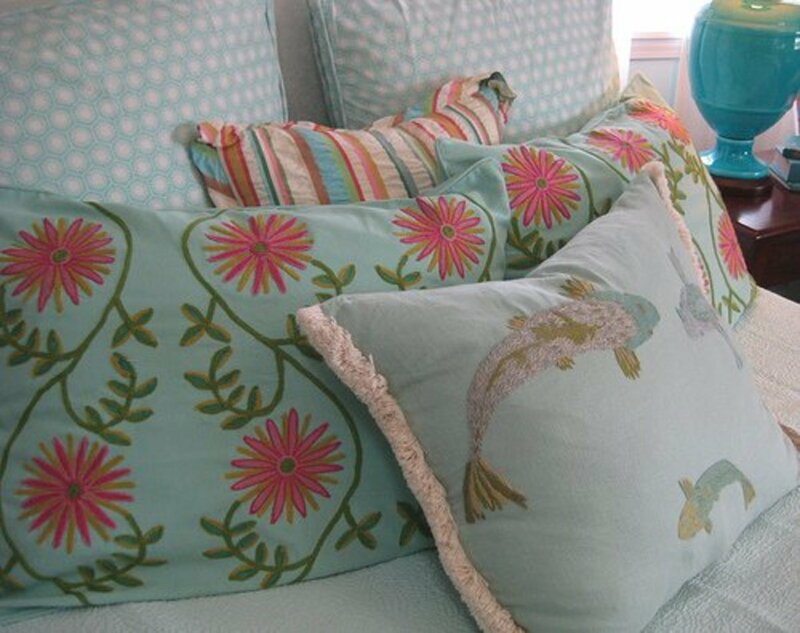 Accent pillows are the perfect idea for adding an unexpected pop of color to your existing bedding. 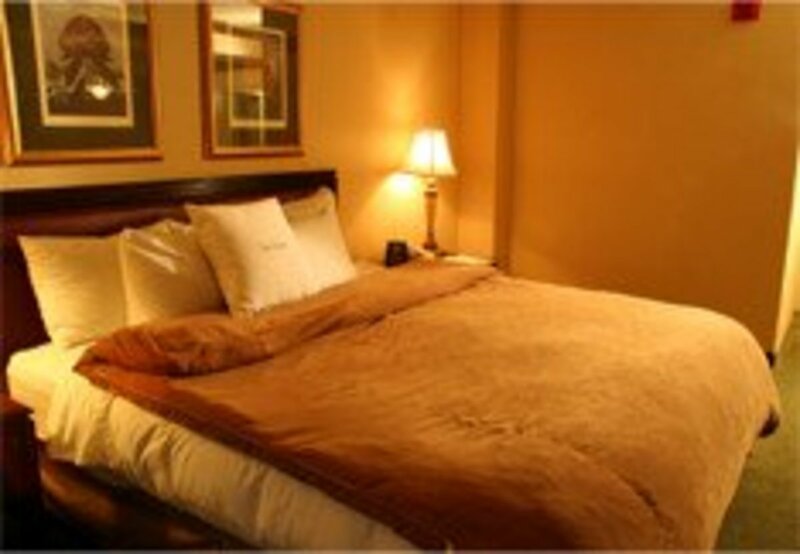 A nicely arranged grouping of pillows on the bed convey a sense of comfort but too many can ruin the effect. Limit your bed pillows to two sets (i.e., Euros, standard or king pillows in decorative shams and your sleeping pillows.) Throw in one or two square, round or bolster pillows as an accent, and you'll have just the right amount. Create a seductive mood with subtle bedside lighting or install functional sconces that provide ample light for reading in bed. Use three-way bulbs or dimmer switches to adjust the amount of light for your specific needs. Whether your bedroom has carpet, tile or wood floors, an area rug gives the space a cozy and warm feel. Rugs are also another great way to add color and visual interest to your bedroom. Here’s one important tip to remember when choosing a bedroom area rug: it should be an anchor to give the room a sense of unity. Make sure it is large enough to be placed under the bed and still be visible around the perimeter. A fug that's too small appears to be lost in the room if there is no connection to furniture pieces. 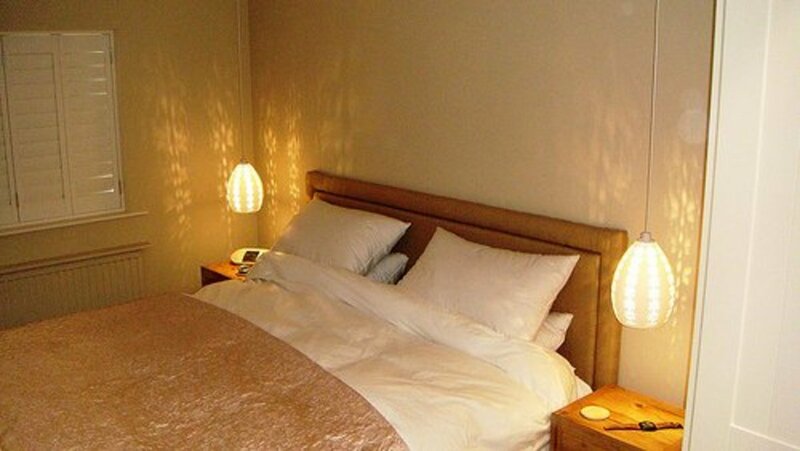 Plants are key in creating a tranquil mood in the bedroom. For example, potted palms are a good choice in a tropically inspired British Colonial bedroom. If you don’t have the budget for potted trees, a tabletop plant or fresh flowers will provide the same effect. Plants not only look fabulous, they also supply oxygen and naturally purify the air. Ask your local nursery for plant suggestions based on the amount of natural light your bedroom gets over the course of the day. Also consider the amount of time you have to care for live plants. There are some varieties that don't require much TLC at all. If you were born with a brown thumb, consider silk plants. They look amazingly life-like and don't need water--just don't forget to dust them. Counteract the look of ordinary blinds or shutters by adding a layer of fabric to your windows. Sheer curtains give your bedroom a light and airy feel during the summer, while heavier curtains like velvet provide insulation to keep you warm against cold winter nights. Don’t have the money for full-length curtains? Add a valance topper to bring in texture and soften the hard lines of your windows. Here’s a super easy idea to perk up your nightstand. Complete your bedroom makeover with a stylish new alarm clock. If you hate the the sound of buzzers or loud music, there are number of clocks that gently awaken you with graduated light or the soothing sounds of nature. Not sure how to dress for the day? There are even alarm clocks that give you the daily weather forecast. You can find an alarm clock that will suit your specific bedroom decor. Choose from vintage, retro, nature-inspired and contemporary designs. If you have grown weary of your nightstands and dresser, why not spruce them up with new knobs and pulls? There's no need to give them the old heave ho, when new hardware will do the trick. Your local home improvement store offers many styles and sizes to make this project virtually effortless. 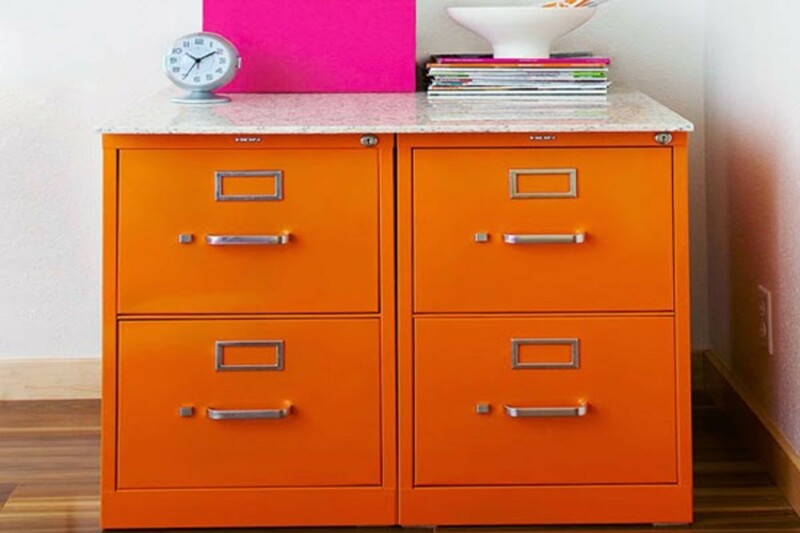 You can completely change the look of any furniture piece with updated hardware. TIP: When replacing pull handles with two screws, measure the distance between the existing mounting screws as a guide when selecting your new drawer pulls. This way you won't have to drill new holes in the drawer fronts. Also make note of the previous screw length when shopping for new hardware. Daisy, I always try to take the simple and inexpensive route when freshening up my home décor. Glad you enjoyed these tips! Great simple tips there, people could save a lot by just moving or changing a few little things. I never personal do a complete overhall, although my mother often does! 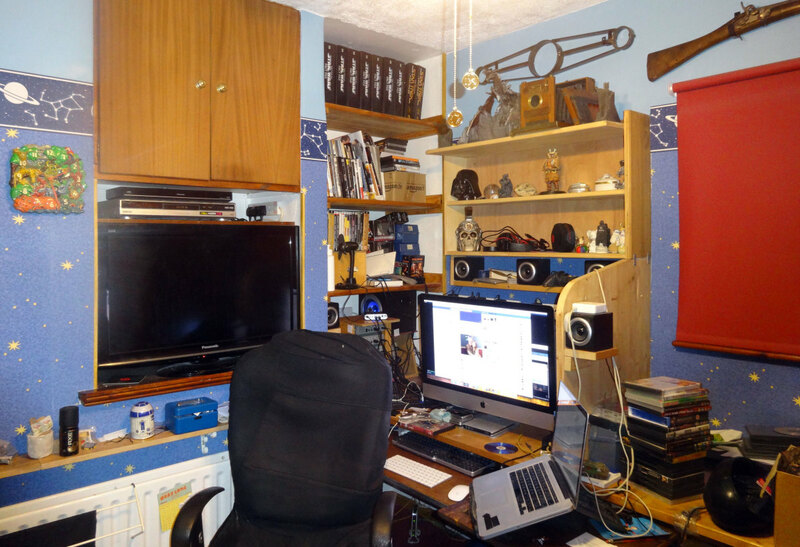 Yes, internpete, just removing all the clutter can totally change the look of a bedroom! Thanks for reading and commenting! Ellebee, I have used that trick a number of times. It really does make a huge difference! Great tips. I like the tip on changing out furniture knobs - so easy and inexpensive. Useful tips! I find it amazing how different a bedroom looks after just cleaning it. Great hub, voted up. Dolores, I have moved so many times over the years, clutter isn't an issue for me. Moving has helped me keep things to a minimum and not become too attached to personal possessions! Glad you enjoyed this Hub. Thanks for reading, voting and tweeting! Oh boy, getting rid of that clutter is #1. How can a person rest in all that. Your pictures are beautiful and your tips so helpful. voted up and tweeted! Leah, teal and mauve...ugh! Definitely time for an update! With a new coat of paint and a bit of rearranging, you'll have a beautiful 'new' bedroom! Hope the bathroom reno is going well! Teaches, I love rearranging furniture. You can get a completely 'new' room for no $! I also like to move accessories from one room to another to add to the new feel. There's no limit to what you can do on a small budget! I can't wait until we finish our bathroom renovation, because our bedroom is next on the list! We just need to remove some 1980s era wallpaper (can you say teal and mauve overload?) - and to rearrange the furniture. Great hub, lindacee! I think rearranging furniture and adding a rug would do it for me. 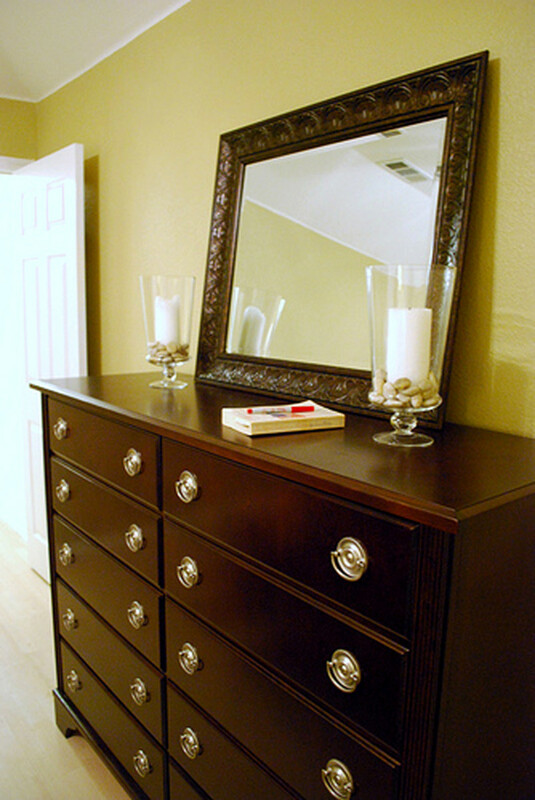 I love makeovers at least once a year, it does bring a fresh look and balance to the room and your personal enjoyment. Thanks for the suggestions.